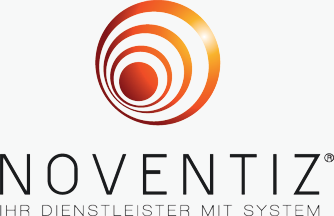 Noventiz GmbH, is a leading German full-service outsourcing provider in the waste management sector. The company offers services in the recycling and disposal of sales packaging and is represented with its own dual system. Furthermore, the Company is active in return systems for transport packaging, on-site waste management and other ancillary services. Vertikom is a leading full service provider for below-the-line sales and marketing activities (BTL). The company offers all services from strategy to execution at the Point-of-Interest and at the Point-of-Sales. This includes sell-in, sell-through, sell-out and Live Communication services. Vertikom also offers tailored solutions through integrated modular service portfolio and operates from various locations in Germany and Austria. Emder Werft und Dock GmbH or Emden Dockyards is one of the oldest and largest shipyards in Germany. In its more than 100 years of history the yard has build many famous freightships, cruise ships and Navy vessels. In recent years the yard has focused on refit and repair activities and is catering for German and international clients from the offshore and shipping industry as well as international Navys and Superyachts. Emden Dockyard offers the full range of high quality engineering and craftmanship “Made in Germany”! Jobmacher is a premier personnel services provider (“PSP”) operating a network of 13 branches throughout Germany with a clear focus on higher skilled temporary employees. With more than 600 employees and many blue chip companies throughout Germany Jobmacher continues to expand rapidly. J&S GmbH Automotive Technology is a highly specialized technology supplier in the areas of security and shielding systems to the automotive industry. Its customers include leading international manufacturers such as the Volkswagen Group, BMW, Porsche, Daimler, GM and Chrysler. Avedo is a fast growing dialog marketing specialist with activities throughout Germany that specializes in lead management, telemarketing and telesales as well as business process outsourcing (BPO). Avedo currently employees more than 1500 employees at its sites in Leipzig, Rostock, Cologne and Munich. Dieter Braun GmbH serves the automotive industry with integrated solutions in the field of cable systems and lighting. Braun has developed into a system solution provider for Tier 1 suppliers for automotive OEM’s. In addition to cable assembly, the Company assists in the development of technology harness and complete systems such as in vehicle interior lighting ensuring optimized product specifications. Braun’s primary product focus is on signal emitting solutions with a specialty in backlighting of automotive interior applications. Braun has locations in the USA, Czech Republic, Ukraine and China.